Combining a probiotic with prebiotic MOS, nucleotides and sepiolite clay creates the optimum conditions for a healthy digestive system. In many cases of laminitis ill effects associated with the condition are a result of acidification in the hindgut, causing the death of bacteria, which decay to release harmful toxins. The digestive supplement helps to balance both the pH levels in the gut and the levels of ‘good bacteria’ to ‘bad bacteria’. 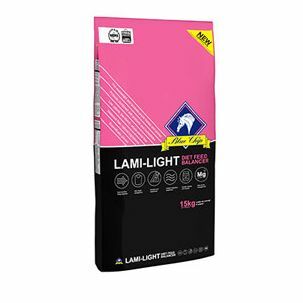 A complete hoof supplement with biotin, methionine, lysine, organic zinc and organic copper for the formation of strong, pliable, good quality hooves. MSM is added as a source of sulphur, essential for the formation of hoof wall material. Omega 3 and zinc are included to ensure healthy, scurf-free skin and a glossy, gleaming coat. As well as forming a key part of the digestive supplement, nucleotides are essential building blocks of DNA and RNA and are therefore essential to every cell in the body. Nucleotides help support immunity, stamina, cell replication and repair of damaged cells.